London. 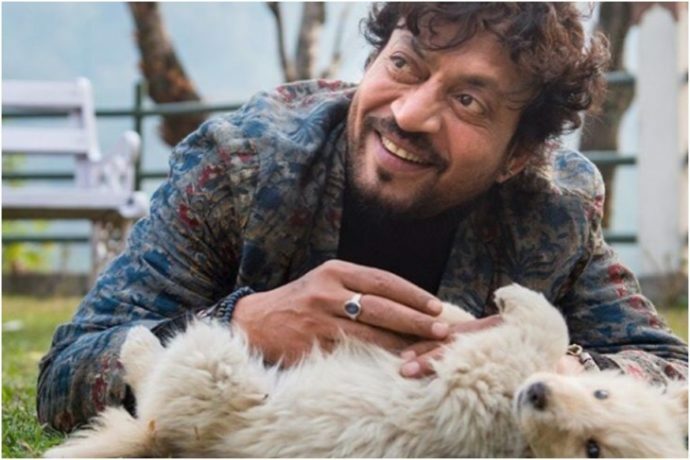 A couple of months ago Irrfan Khan’s shocking revelation that he was diagnosed with a neuroendocrine tumour sparked major concerns for his health. Khan, who is currently undergoing cancer treatment in London, opened up about battling the “rare” disease in an emotional letter to a leading Indian newspaper. In the note, the 51-year-old acclaimed actor talked at length about one of the “terrifying” hospital visits, his ordeal with the illness and how everything changed in an instant. “”I had been in a different game, I was travelling on a speedy train ride, had dreams, plans, aspirations, goals, was fully engaged in them. And suddenly someone taps on my shoulder and I turn to see,” he wrote. Khan further said he was “drained” and “exhausted” when he entered the London hospital, so much so that he didn’t even notice that it was on the opposite side of Lord’s cricket stadium, which he referred to as “The Mecca of my childhood dream” in the note. “Between the game of life and the game of death, there is just a road. On one side, a hospital, on the other, a stadium. As if one isn’t part of anything which might claim certainty – neither the hospital, nor the stadium. That hit me hard. The peculiarity of MY hospital’s location – it HIT me,” he added. Khan was last seen in Blackmail. He is currently awaiting the release of Karwaan, which will also mark Dulquer Salmaan’s debut in Bollywood.